You will find McDonald's situated at an ideal location on Whitletts Road, 1.00 miles north-east from the centre of Ayr (by Braehead Primary School and Ayr Racecourse). The restaurant is an added feature to the districts of Heathfield, Newton on Ayr, Craigie, Braehead, Mainholm, Wallacetown and Woodfield. Doors are open today (Thursday) at this spot from 6:00 am to 2:00 am. On this page you may find all the information about McDonald's Ayr, Whitletts Road, including the business hours, restaurant address details, customer reviews or more relevant info. McDonald's lies in the vicinity of the crossroads of Walker Road and Whitletts Road, in Ayr, South Ayrshire, close to Ayr Racecourse. Only a 1 minute drive from Whitletts Roundabout (A77/Prestwick/Ayr Bypass) or Heathfield Road; a 2 minute drive from Craigie Road, John Street (A79) or Allison Street; or a 4 minute drive time from Shawfarm Road (Glasgow Prestwick Airport). The best postcode to use on your GPS units is KA8 0JE. You can catch the bus directly to Walker Road and Whitletts Road/Hawkhill Avenue. Easily accessible via the lines: 3, 6, 43, 306, 343, 43A and X4. People are advised to alight at Newton-on-Ayr Train Station (4270 ft) or Ayr Train Station (1.00 mi away). The ScotRail line stops nearby. In the neighbourhood you may visit Craigie Park, Port of Ayr, Ayr Racecourse, Dalmilling Golf Course, Somerset Park, Braehead Primary School, University of the West of Scotland, Voluntary Park, Heathfield Industrial Estate and Ayr Cemetery. There is currently 1 McDonald's branch open in Ayr, Ayrshire. For more McDonald's go to this link with an entire directory of locations near Ayr. Please note: working times for McDonald's in Ayr, Whitletts Road may differ from common times over national holidays. Throughout 2019 these changes pertain to Xmas, New Year's, Easter Monday or Bank Holidays. 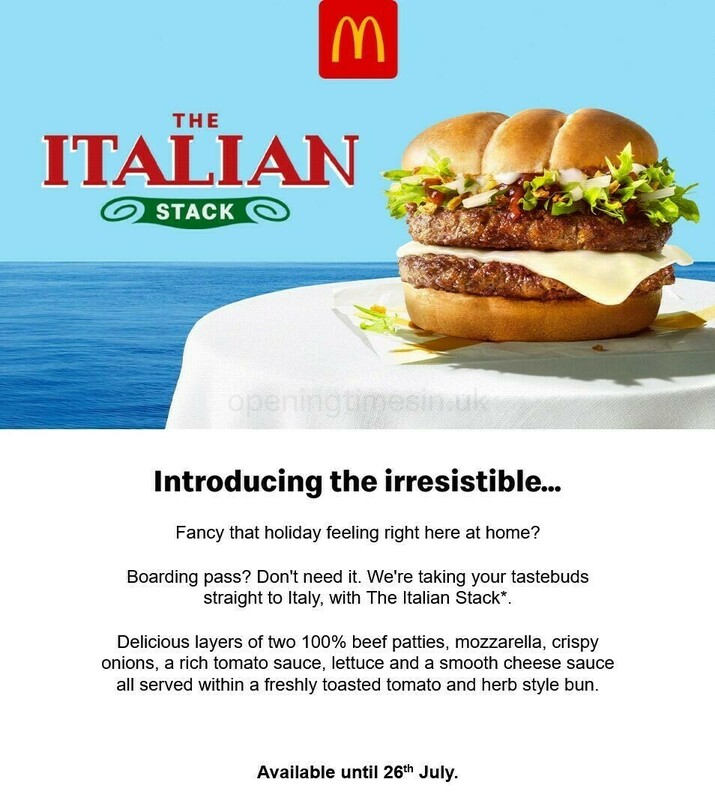 To get further info about holiday business times for McDonald's Ayr, Whitletts Road, visit the official website or call the service line at 370 524 4622. Help us keep the information as current as possible. If you know that the address or working hours for McDonald's in Ayr, Whitletts Road are incorrect or have changed, please use this form to report a problem. Your feedback on McDonald's is helpful. Please use the form and star ranking scale below, to rate the restaurant.